- Breakfast then Bosphorus cruise tour with a visit to the Spice Bazaar. - Free day to stroll the city or optional activities. - Overnight stay in Istanbul hotel. - Morning flight to Cappadocia, meet and drive to hotel. - Breakfast then full day trip exploring attractions and history of Cappadocia. - Dinner and Overnight stay in Cappadocia hotel. - Breakfast then drive to visit the Mausoleum of Mevlana in Konya. - Continue to Pamukkale for dinner Overnight in Pamukkale hotel. - Morning pick up to uncover history and sights of Pammukale. - Continue to Aphrodisias for lunch sightseeing guided tour. - Transfer to Kusadasi hotel, check in and overnight stay. - Morning pick up for full day sightseeng tour in Kusadasi. - Transfer to Izmir airport flying back to Istanbul. 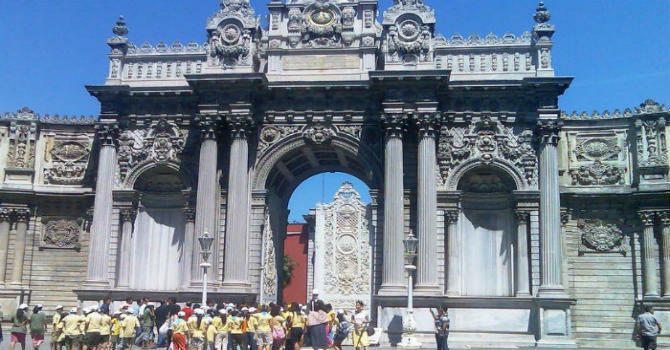 - Meet & transfer to hotel for an overnight stay in Istanbul.